We go tasting wine at the local winery`s about once a month now, it was two to three times a month when we first moved here..Today we like certain ones, they have nice grounds so we can buy a bottle and then hang and eat a picnic. It`s the German cars that did it to us. Or maybe all of the years being crew chiefs on C-130`s?? Chips and pop for me today! . Will be eating by myself tonight what should I eat? Seeing that its your Birthday, I would think you should pull an allnighter of Cake & Ice Cream. 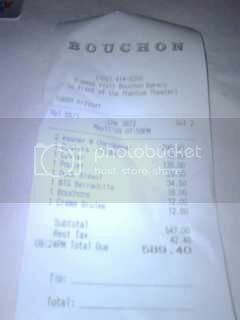 Just returned from Vegas attended a trade show...here is the bill for dinner one night...this was only two of us! $700 for Dinner(with Tip ) is Ridiculous.I will never pay more than $200 for any Meal(Wife & I, and it had better be a special occasion)I mean in 24hrs or less I will be unloading it out my backside. Next time try tha Buffet...Maybe not as Elegant. 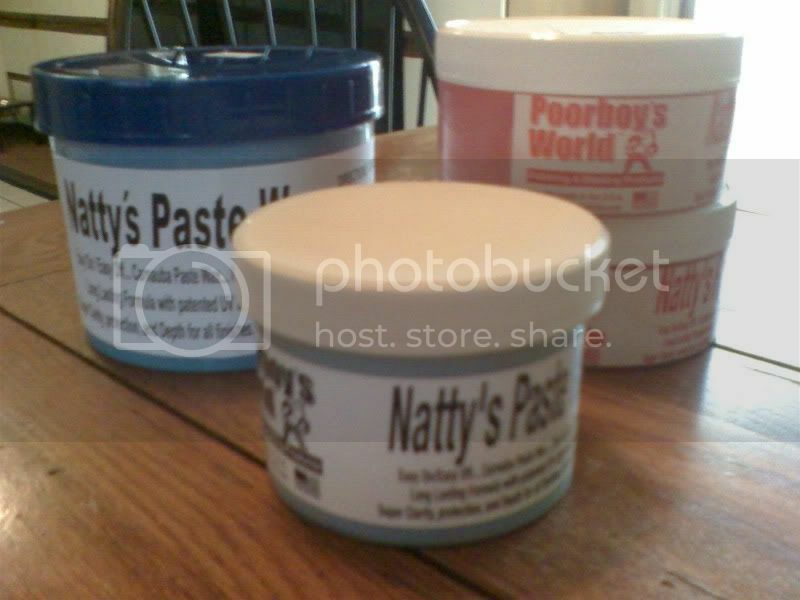 But think of all tha Wax you could buy. What did you guys have? I see the creme brulee, cavier, duck entre and I`m guessing that`s the wine at the top. 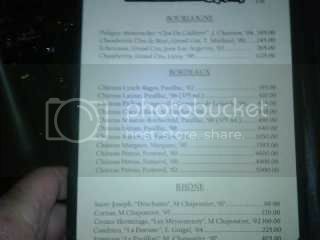 The prices really don`t look so bad, especially for the entres and the desserts. Just got back from Chinese food with my extended family. I`m leaving here tomorrow, finally starting to turn home. I get more excited the closer I get, mostly because I`ll get to clean my car properly for the first time in months. Yes I know the type.... I deal with Millionaires on a Daily basis.